Basics-What To Know About Sleep Apnea And Life Insurance! Sleep apnea and life insurance can sometimes have an adversarial relationship. In this article, we'll explain to you how one can affect the other. You insure your car, you insure your house, and you even pay for health insurance. Why aren't you also insuring your life? A large percentage of Americans -- 41 percent -- do not have life insurance. This is the case despite the fact that 84 percent of them believe that life insurance is important. Before you sign up for life insurance, it's helpful to understand which factors in your life might influence your insurance rates. This is especially true if you have a condition like sleep apnea, which can have a big impact on the amount you pay. If you suffer from this condition or another sleep disorder, keep reading. Explained below is everything you need to know about sleep apnea and life insurance. How Does Sleep Apnea Affect Your Life Insurance Rates? People who suffer from sleep apnea will likely have to pay higher premiums than otherwise healthy people. It's true that a sleep apnea diagnosis can cause your life insurance premiums to increase. But, there are a lot of other factors that influence the total cost of your insurance plan. For example, your potential insurance provider will take the severity of your condition into account. Sleep apnea can be divided into three different levels: mild, moderate, and severe. If you only experience mild-to-moderate sleep apnea, there's a good chance you may be able to obtain life insurance at standard rates. The level of treatment you're currently undergoing also influences your insurance rates. The more steps you're taking to control your sleep apnea, the greater chance you have of getting standard life insurance rates. Insurance providers also consider the presence of other risk factors. If you have sleep apnea and are also obese or have high blood pressure, for example, you may get a less favorable insurance rating than someone who has sleep apnea but no other risk factors. If you need life insurance and have sleep apnea, there are lots of steps you can take to get the lowest rates possible. When it comes to getting more affordable life insurance rates, insurance providers want to know that you're doing as much as you can to manage your condition. This involves being compliant with your physician's recommendations and attending regular follow-up visits. Some other steps you can take to manage your condition and minimize your symptoms include the following. A continuous positive airway pressure (CPAP) machine is a device that is worn over the nose while a person with sleep apnea sleeps. A CPAP machine continually applies mild air pressure to keep the airways open and prevents the cessation of breathing that occurs in people with sleep apnea. If you use a CPAP machine to manage your sleep apnea on a consistent basis, insurance providers are likely to give you lower rates. In order to get the best rates, you'll need to tell the insurance provider how long you've been wearing the CPAP machine and if you wear it regularly. Life insurance providers also respond positively to people with sleep apnea who participate in sleep studies. In fact, they may require a sleep study (and will likely pay for it) before considering you for coverage. This information helps the underwriter learn more about how severe your condition is. Underwriters also pay attention to whether or not you're attending regular checkups with your doctor. Getting check-ups on a regular basis sends a positive message to the insurance provider that you're taking your condition seriously. When you go to checkups regularly, you also get more information on the state of your condition and can make sure it's not getting worse. Many people who have sleep apnea also have other conditions that can make their sleep apnea worse. For example, people who have hypothyroidism (an underactive thyroid) are more likely to also be diagnosed with sleep apnea. If you have hypothyroidism, taking steps to get this condition under control can improve your sleep apnea and help you get a better life insurance premium. Obesity is also linked to more severe sleep apnea symptoms. Losing weight can improve your symptoms and improve your insurance premiums. Giving up habits that may make your sleep apnea worse can also improve your condition and show the underwriter that you take your health seriously. Habits and lifestyle factors known to worsen sleep apnea include alcohol consumption, sedative use, and cigarette smoking. 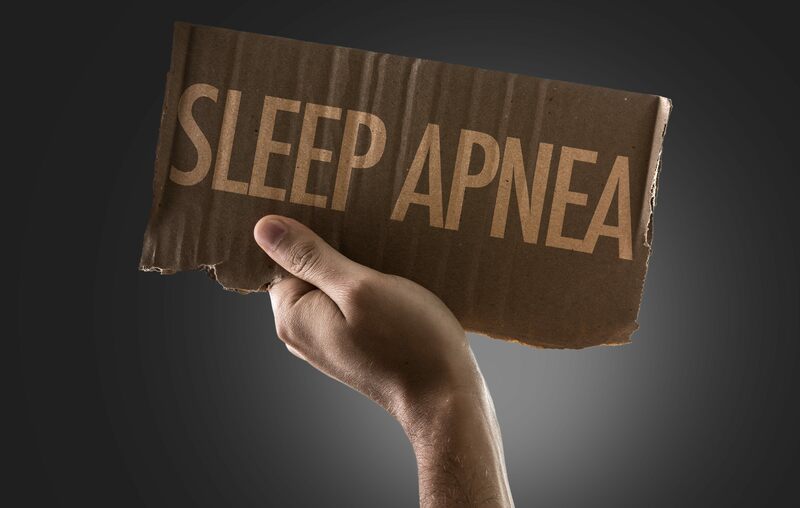 In extreme cases, some people with sleep apnea require surgery. During the surgery, a surgeon will trim down the uvula and soft palate to get rid of throat obstructions that cause you to stop breathing while you sleep. A surgeon may also remove the tonsils or reposition some of the muscles that make up the soft palate. Having undergone surgery (or having a plan to undergo surgery) can send a positive message to insurance providers and improve your insurance rates. Want to Learn More About Sleep Apnea and Life Insurance? As you can see, there are a lot of links between conditions like sleep apnea and life insurance rates. But, you can still get great rates even if you suffer from sleep apnea. At CB Acker Associates Insurance Services, we can help. Contact us today to discuss your personal situation. We've been helping families build strong financial safety nets since 1985 and "we've seen it all"!